Panorama at the auto shop Taller Morales, Sabana Perdida. 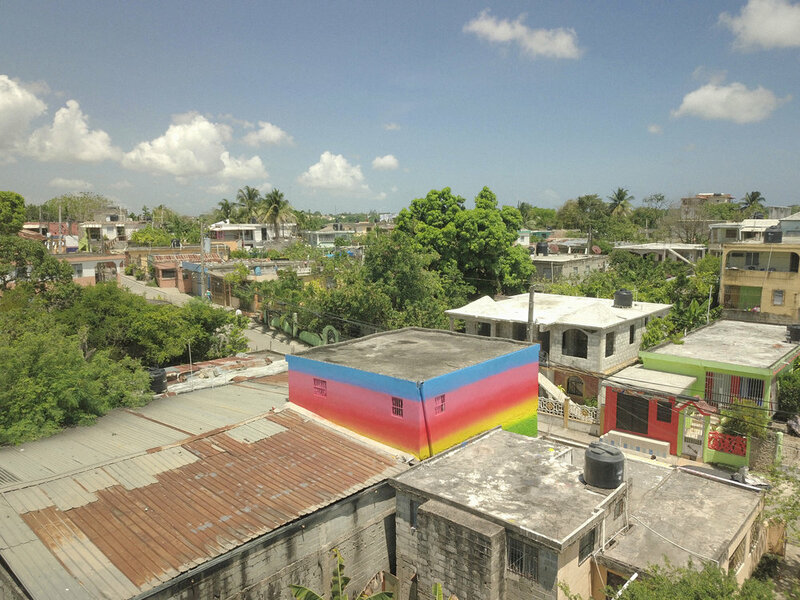 Commissioned as part of Proyecto de Arte Público de Santo Domingo by Digepep. Drone footage/documentation by Pedro Bros.